Feeling parched? Welcome to the oasis! 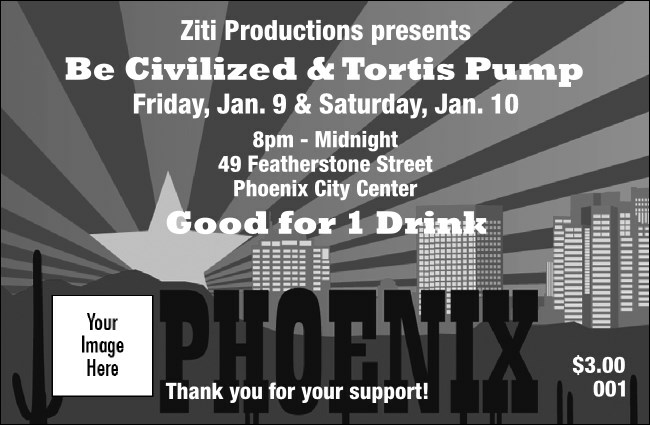 Keep your event hydrated with the Phoenix Drink Ticket. When the desert heats up, keep the bartenders cool. Sell drinks in advance, reward your best benefactors, and add an element of order to the event with drink tickets. Knock the dust from your boots and settle into the right Event Kit from TicketPrinting.com.